"The officer attempted to arrest the driver and a physical struggle ensued," a police department press release said. A Minnesota man pulled over during a traffic stop died in police custody after getting into a "physical struggle" with officers, authorities said. 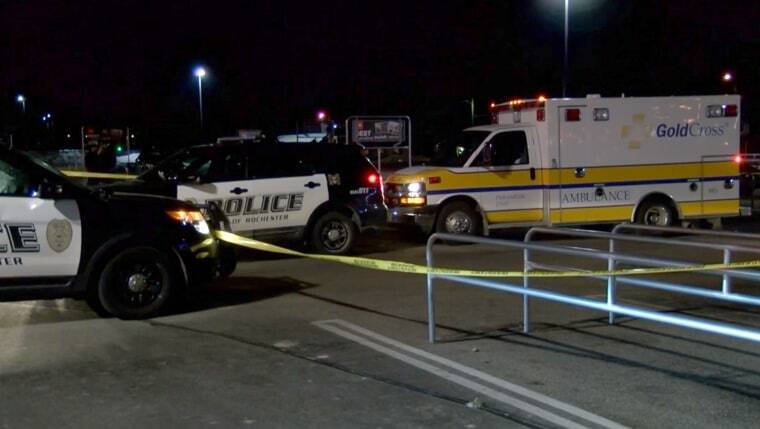 The incident happened just before 9 p.m. Wednesday in the parking lot of a pharmacy in Rochester, about 90 miles south of Minneapolis. The Rochester Police Department said in a press release Thursday that an officer pulled the man over "based on several traffic violations observed on a public roadway." The man was identified Friday by the Minnesota Bureau of Criminal Apprehension as Albert Thomas Dashow, 39. After Dashow stopped, the department said he tried driving away but was stopped again in the parking lot. "The officer attempted to arrest the driver and a physical struggle ensued. The officer requested back up and officers arrived to assist in arresting the subject," the department said. Once in custody, Dashow became unresponsive and died despite officers' performing CPR and other lifesaving measures, according to the department. The Southern Minnesota Regional Medical Examiner’s Office said Friday that the cause and manner of death "are pending scene investigation and additional studies." The incident was captured on police body-camera videos, which the police department said it turned over to the Minnesota Bureau of Criminal Apprehension, which is handling the investigation. "The BCA is in the early stages of its investigation and will release additional information once initial interviews are complete. The interviews with the officers have not yet occurred," a spokesman for the agency told NBC News. The involved officers have been placed on administrative leave. Rochester police said the preliminary investigation found that the officers did not use weapons during the arrest.